Just a soccer ball — or something more? 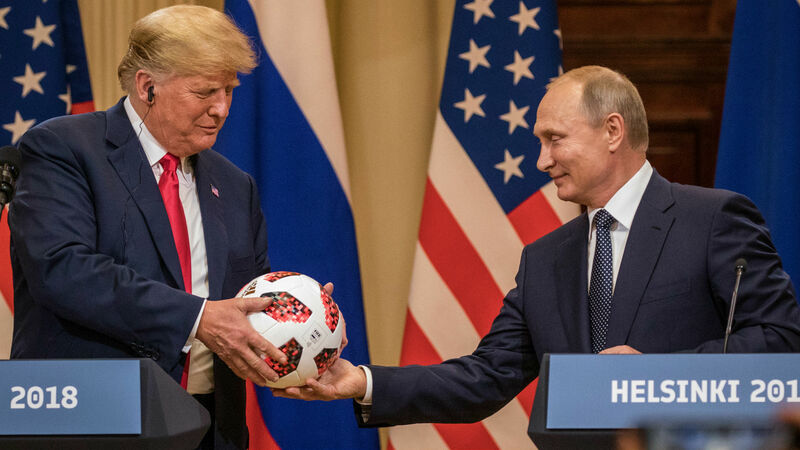 The Adidas soccer ball Russian President Vladimir Putin gave to President Donald Trump at their summit in Helsinki last week contains a chip that can transmit information to nearby cell phones, according to Bloomberg. Sen. Lindsey Graham (R-S.C.) tweeted that the ball should never be allowed in the White House. The Secret Service said the ball underwent a routine security screening. So was there a device inside the soccer ball when it was gifted to Trump, or was the chip removed prior to the summit? Trump said the ball was going to be gifted to his 12-year-old son, Barron.